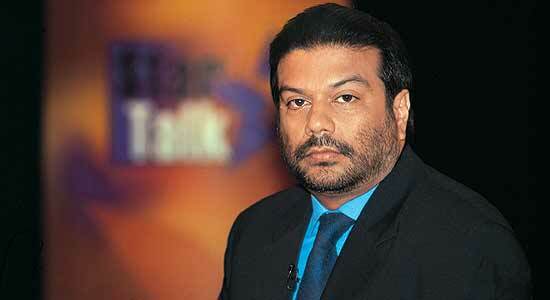 Vir Sanghvi: Hi, can you talk? VS: You know, Maran did not meet Sonia. VS: He won’t meet Sonia, he’s been there, they say we’re not treating him as official spokesperson at all. He called just now, I saw your message, he is calling up Ghulam Nabi Azad every half an hour and making new demands. As far as we’re concerned, there are two wives, one brother, one sister, one nephew, it’s all got very complicated for us. We’ve made a basic offer, if Karunanidhi responds to us and tells us he’d like to respond directly, he’d like to talk to Mrs Gandhi, we’d be happy. He spoke only to Manmohan Singh. We’ve told Maran they’ve to come back to us and tell us what they think of our offer. And, apparently the DMK is getting very bad press in Chennai. VS: So, he said we’re going to wait for two days. Let them come back, we’re of the line that this is not a Congress-DMK problem, this is an internal DMK problem because they can’t get their act together between all his wives and children and nephews. He’s got to get his act together and nominate one person and we’d be very happy to deal with him. We’re not happy with this Maran who keeps calling up Ghulam Nabi and saying ‘talk to me, talk to me’. They are not taking him seriously. NR: Very interesting. I’m glad you spoke to Ghulam Nabi, did you? VS: I spoke to Ahmed (Patel). Ghulam Nabi is not a very key figure. Ahmed is the key figure. VS: Maran has gone back apparently today to Chennai? NR: Yeah. He has gone back. NR: Sorry to disturb you. They had a meeting. NR: M.K. Narayanan had come. And as suggested it was Kani only. But they are still stuck to their four formula and one independent. NR: But these people will also think about it and let him know tomorrow morning. He (Ahmed Patel) clarified everything. NR: Yeah. But the thing is that it appears that he is still under a lot of pressure to take Maran, you know. VS: Where is this coming from, this pressure? NR: It’s coming from Stalin and his sister Selvi. NR: I believe Maran has given Rs 600 crores to Dayalu, Stalin’s mother. VS: It’s hard to argue with that kind of pressure. NR: Isn’t it? But if they stick to three and want one independent charge, then Kani gets an independent and then Azhagiri, Baalu and Raja come in. VS: That is not so bad, you know. NR: Yeah, so I think. VS: Unless Maran is one of the cabinet. NR: Yeah. But I don’t think he can give it to three family members. That will send a very wrong signal. VS: I am in Jaipur. Coming back this evening. NR: Okay. I’ve been talking to my Tamil Nadu friends. I don’t know whether you are in the position to get through to anyone at Congress. I met Kani just now. VS: Then why has Maran become the face, they all hate Maran. NR: No, he’s not. I know. But the Congress is under another impression. They have already apparently indicated to Maran that the prime minister will not give infrastructure to DMK. But he is desperately pushing for an infrastructure berth himself. NR: Simply because of his position. NR: Right now the Congress doesn’t seem to be understanding this. VS: So, who should they talk to? NR: They need to talk directly to Karunanidhi. They need to talk to Kani. VS: Let me try and get through to Ahmed. Manmohan Singh’s time, strangely, has seen more scams than any of his predecessors. What price the ‘Mr Clean’ image? What punishment awaits the guilty? And can the loss be recouped?